The Portland Art Museum is among the 25 largest in the United States, with a building spanning 240,000 square feet, and housing a permanent collection of more than 42,000 works! The Museum was established back in 1892, with the collaboration of seven of the city’s leaders in business and culture. The museum’s goal was to provide a first-class museum of art for everyone to enjoy. In this they certainly succeeded, with hundreds of thousands of visitors coming to the museum each and every year. Among the museum’s vast collection of art are works by Vincent van Goph, Claude Monet, Paul Cézanne, George Innes, and others. The museum’s works are divided among several different collections. American Art is a chronological arrangement of the paintings and sculptures of American artists, showing the evolution of art in this country. The Asian Art collection contains nealy 4,000 pieces, mostly of Chinese Japanese and Korean origin. The majority of these artworks have been donated by generous Portland residents. European Art has been an important part of the museum since its inception, with a large gift from one of its founders allowing the purchase of a hundred plaster casts of Roman and Greek sculptures. In great contrast to the style of the classical art, is the collection of Modern Art on display at the Portland Art Museum. This collection contains a few hundred works from across the world, with pieces dating back a hundred years. A Native American Art collection also graces the museum’s exhibits. The collection has both depth and diversity, containing 5,000 objects. The collection is divided into several galleries, with each containing works from a different cultural region. As one of the Northwest’s foremost art museums, they simply couldn’t be without a collection devoted to the region’s finest art. The Northwest Art collection contains works from artists in Oregon, Washington, Montana, Idaho, and Wyoming. These pieces of art are arranged chronologically over four stories, with the most recent on the top floor. No great art museum is without a fine collection of Photography. 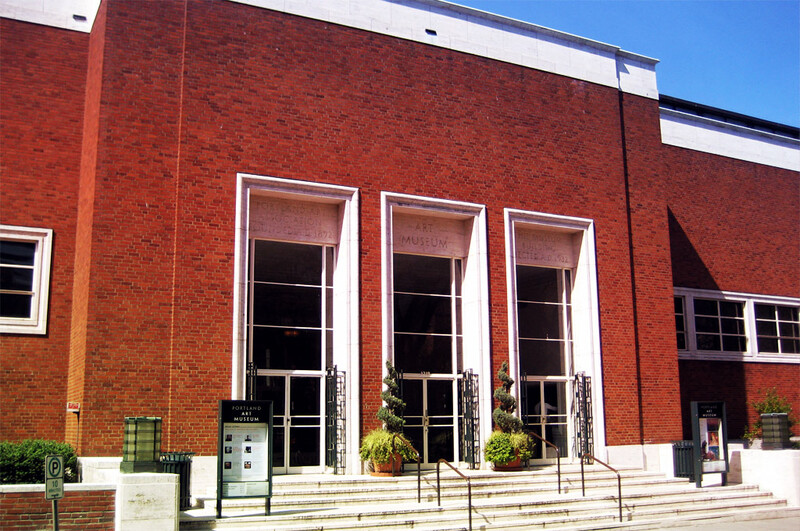 The Portland Art Museum has a 2,200 square foot gallery for this medium of art, with displays rotating through the museum’s 5,000-piece collection, which contains photographs dating back to the 1800s. The Graphic Arts created on paper are also a very important segment of artistry, which lead the museum to collect 26,000 works on this medium, both prints and originals. A rotating exibit highlights specific pieces from this collection, lending another reason to visit the museum again and again. Finally, as one of the styles of artworks in a class of its own, is the Silver Collection.. This exibit has works from the 15th-century, to others that are only a few decades old. The majority of the collection however, is probably from the height of the silver-working age, the 1700s. All of the artworks display an incredible degree beauty, and often extremely ornate and minute details. Besides the Portland Art Museum’s vast permanent collection, they also host other temporary and traveling exhibitions, which are often quite fascinating. One other component of the museum is the Northwest Film Center. One of the core parts of the Film Center is their education programs, which offer college credit, and last about 13 weeks, covering everything from filming on 8mm film, to digital editing, audio, & post-production. Of greater general interest however, is the several special events and film festivals hosted by the Northwest Film Center. Such events include the Portland International Film Festival, the Northwest Filmmakers’ Festival, and the Young People’s Film Festival, among others. More information can be found at NWFilm.org. The Portland Art Museum is open every day of the year, save for New Year’s Day, July 4th, Thanksgiving, and Christmas. General Admission is $15 for adults, with discounts for Seniors & groups, and children under 17 are free. The museum also offers free admission for everyone on the fourth Friday of each month. Full details and visitor hours can be found at PortlandArtMuseum.org. The museum can be found at 1219 SW Park Avenue, Portland, OR 97205.